It seems hard to believe now, but going to the gym was once a fairly niche activity. These days, more people are working out than ever before. The number of gyms in the U.S. has risen from 30,000 in 2010 to 36,000 in 2015. It’s not just health clubs and gyms that in the U.S. are fueling the growth of the fitness industry. People all over the world are making a concentrated effort to get healthier. That’s helped the global industry grow from $71 billion in revenues in 2010 to $81 billion in revenues in 2015. The good news is you don’t need to open a gym or become a personal trainer to get a piece of the growing fitness craze. There are a number of diverse, publicly traded investment options out there for investors. One of the growing trends in fitness is the rise of boutique – and expensive – studios or classes like CrossFit and SoulCycle. On the opposite end of the fitness spectrum is Planet Fitness. This ubiquitous and inexpensive gym markets itself to casual fitness goers who don’t want to spend much money. The business model has been working well, with more than 1,000 franchised gyms in the U.S.
There’s no doubt Planet Fitness is fulfilling a need. The value stalled after its IPO in 2015, but 2016 has proven to be especially lucrative. Shares are up almost 25 percent on the year. The rise in share value can be attributed to better-than-expected per-gym revenues and an increased revenue forecast for the rest of the year. Fitbits are everywhere, as people have taken a strong liking to tracking their fitness progress on a watch-like device. The bad thing is that Fitbit-like devices are also everywhere. Fitbit went public in 2015 and has since lost 56 percent of its first-day value. That’s a bitter pill for investors to swallow. Sales aren’t as high as hoped, which is part of the reason for the steep decline. On top of that, the competition in the wearable technology field is becoming increasingly crowded. While Fitbit makes some great products, it’s hard to say whether it will regain its footing. 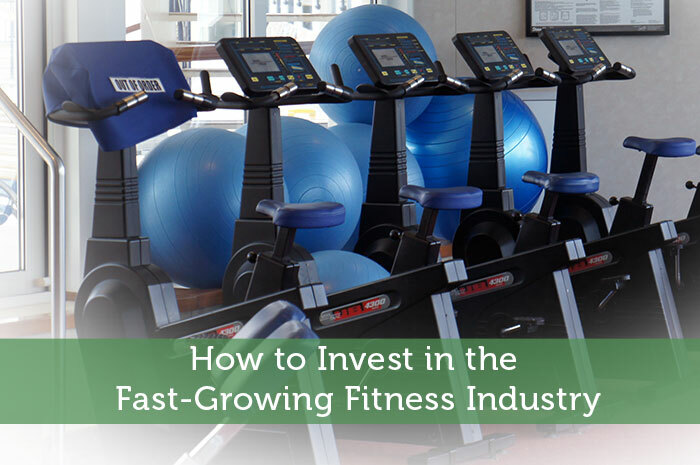 The fitness industry has shown strong growth. The same thing can be said about the related nutritional supplements industry. The $32 billion industry value is expected to double by 2021, with health-minded people fueling the industry’s growth. Vitamin Shoppe, and its chief competitor GNC Holdings (GNC), are the two biggest players in this field. Both have had a rough 2016 with double-digit declines, but Vitamin Shoppe is proving more resilient despite being smaller in size. The declining sales are something to worry about, but the underlying financials are strong. Before fitness become as widespread as it is now, fitness fashion was popular. Brands like Nike (NKE) have had lucrative histories by appealing to both fitness aficionados and casual people who just like the clothing. Under Armour works in a similar way, but the brand has grown faster than anyone could have reasonably expected. In the past six years, the company has had 20 percent or higher annual growth. Unfortunately for long-term investors, Under Armor became a victim of its own hype and cratered in value earlier this year. Now could be a good time to take a look at Under Armour, as the price is much more reasonable than it was earlier in 2016. Industries showing fast growth should always be treated with extra scrutiny. Fads, after all, are not worth investing in for the long term. However, the fitness industry has been around for decades and is just now maturing. Fitness in all shapes and forms has caught on in a big way, which means the industry will likely continue to grow. That’s music to any investor’s ears. Fitness has reversed the tradition of “vegging out” after a hard days work into something healthy and profitable for the mind and body. The companies listed in the article, from Vitamin Shoppe to Fitbit prove that this is a varied market. I think the author is right to say that this trend isn’t a fad, but rather necessary to human flourishing and a worthy long-term investment area.